Discussion in 'Lets Talk about gambling and more...' started by Marina, Aug 27, 2014.
do in a gambling environment. Unfortunately, if you do not know the “no-nos” of gambling, you may end up unknowingly committing an embarrassing mistake or even a crime. In order to remain in the know and avoid these obviously not-so-great consequences of poor gambling, try reading the information below. A lot of the information may seem like common sense, but you may be surprised at how little thought you had given to some of the topics listed below. by partaking in illegal methods would probably be in jail in real life. No one wants to go to jail, so we would recommend that you stay away from any illegal activities on the gambling scene. hold back the emotion that gushes forth with a big win or a big lose. hat during the next match. Someone is always the winner, and it certainly is not always you - so there is no need to act like it is. taste it - and the feeling that quickly follows upon realizing that someone else took “your” win. Competitive individuals, especially, struggle with remaining gracious, kind, and polite after losing. who fits that description, and said person often puts a damper on things at the card table. right to take out your frustration on anyone due to bad odds. Instead of insulting your card dealer, try complimenting or even tipping him or her. You may be surprised at how nice it feels to be… nice. Scientific studies indicate that when we are nice to others, “feel good” chemicals are released in our brains. It really does pay off to be kind to others. you are not opposed to casual conversation and a few laughs. Letting people know you are friendly goes a long way. and breaking that code is a sure indication of poor taste and ignorance. Use a little common sense and enjoy yourself while gambling without cheating, being obnoxious, being rude, or being uppity. If you follow these rules, the odds of enjoying a quality gambling experience are highly in your favor. 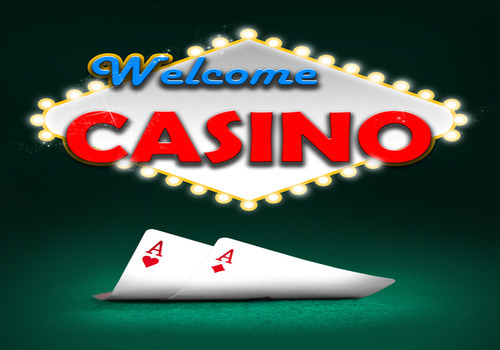 This are some great tips if you are visiting a land based casino. I cant stand it when folks are rude against the staff.